Scroll down the page to view all of our pricing. All pricing can be catered to fit your needs. You can also Email Us for your special quote. STOP! Please do not make your decision based solely on price. Quality is the most important reason to base your photography decision. Pictured Events provides professional photography services along with skilled digital editing to preserve your special wedding day forever with beautiful, vibrant images. We are creative in our style of photojournalistic and artistic photography. We offer, documentary coverage of the wedding and traditional formal shots of the wedding party, indoors and/or outdoors. Ask us about payment plans that are available using the below table. All weddings have different needs according to what the client wants. All wedding packages can be tailored to fit those needs. If your wedding date has been secured you can choose to pay for your services on line using the "Pay Now" buttons next to your previously chosen package. · Up to 2 hours of wedding coverage (photojournalistic style). 1 Photographer. (Portraits can be included if time allotted, additional time $60.00 per hour). · All images delivered on archival CDs as edited digital files (basic editing only). · Complete reception coverage (within time frame, additional time available). · Proofs delivered in 4x6 Wedding Album Proofbook. · All images delivered on archival CDs as edited digital files. · Up to 6 hours of wedding photography, 1 Photographer and 1 photographer's assistant. · Two 4x6 size soft cover parent albums of up to 20 standard pages. 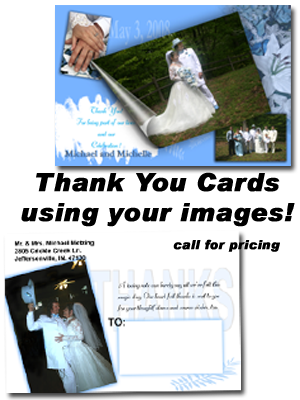 · All of your photos are included on CD as edited digital files. If we shoot your engagement photos, they will also be included on your CD. A Second photographer can be added for as little as $300.00 to any of the above packages. back styles and sizes to choose from. Ask how you can get yours free! Use our portraits pricing section for your engagement photo session. No additional fees for different outfit changes but keep in mind that more than 3 changes will take more time. All sessions can include 1 - 4x6 portrait proof book with up to 20 images (color and black and white),($85.00 additional charge for added proof book). Other size albums, frames and prints are available. Contact us for all the details. The session can include studio and/or enviromental photography. A sample of our package pricing can be viewed by clicking here. Other packages are available as well and can be catered to fit your needs. Each year we change our sports envelope to reflect the current trends in what the customers want. We change our digital products with each season to insure a new look. Who wants the same products every year with the same sport. Our most current product and pricing envelope being used in our sports programs can be viewed by clicking here. Company newsletters and prospectus photography, Brochures, Books, Literature, Business Cards, Post Cards, Mailers (complete ready to mail), Folders, CD Covers, Still Movie Shots, menus, etc. If using our printing services deduct 25% off of all rates. Digital images of your Real Estate for MLS Service, web sites, Advertising Media or Insurance. · 360° - Panoramic Virtual Tours (pricing to be published soon) call! All prices include complete exterior and interior digital images on CD of every room up to 3000 sq. ft.
Be sure to ask about larger homes and distance traveled outside of 25 mile radius of Louisville KY. Someone else living in the home? Let us take the worry out of scheduling an appointment with the resident. Larger multiple property discounts available for Property Managers and Real Estate Agents. Complete photojournalistic coverage of your trade show or event including Concerts, Tournaments, Conferences, Club outings, etc. 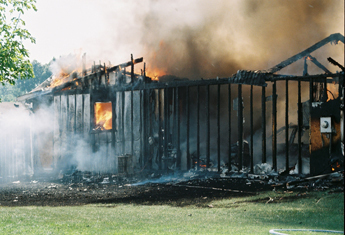 When you have a small or large loss from fire, burglary, water damage, etc. are you going to remember all the items and their serial numbers that belong to you? Probably not; and can you prove that they actually belonged to you? For as little as $100.00 we will go room-by-room, we can develop a photographic inventory to document your possessions from appliances, jewelry, documents, etc. We will photograph the serial plates and the items. We will provide the forms where you can record the cost and purchase dates of the items along with their serial and model numbers. Pictures give a graphic description surpassing any written description. This puts you in a better position to help your insurance company determine the current value of lost or damaged items if you have proof of your ownership. Contact Us for more information and details.